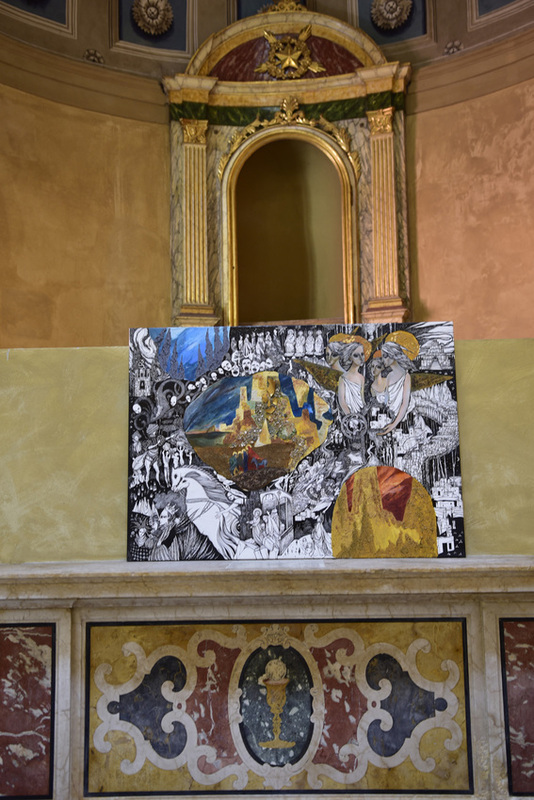 For the German version of this page or the Italian version please choose. 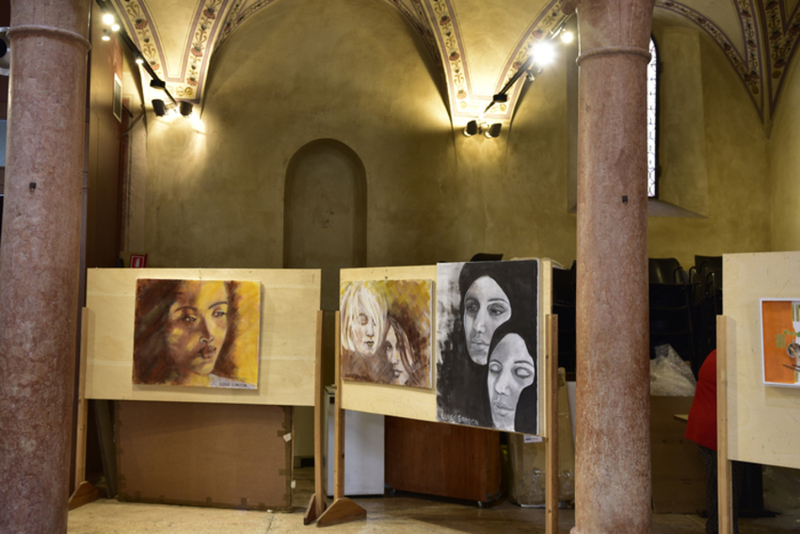 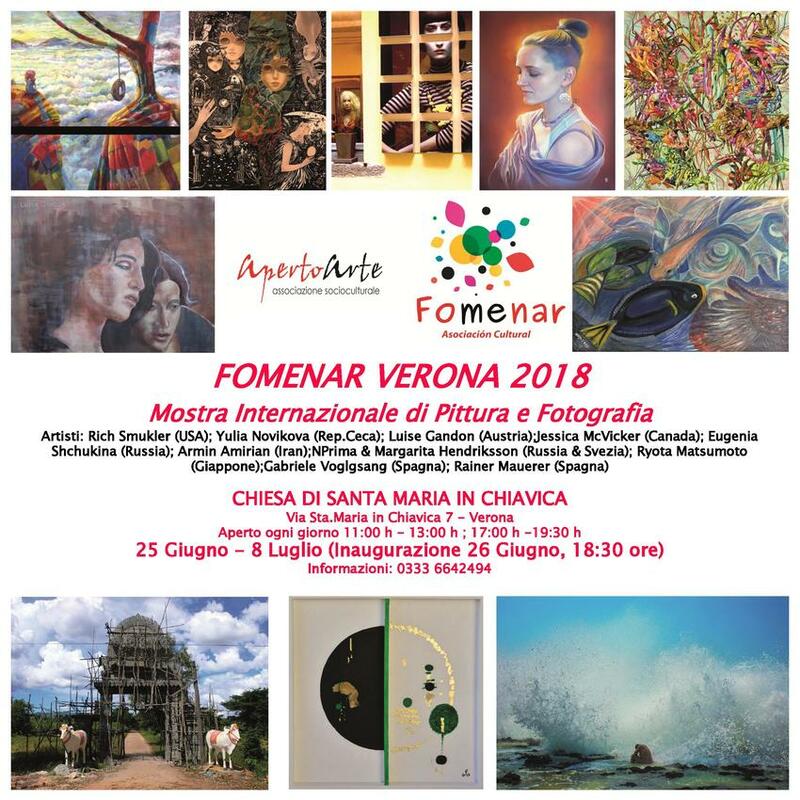 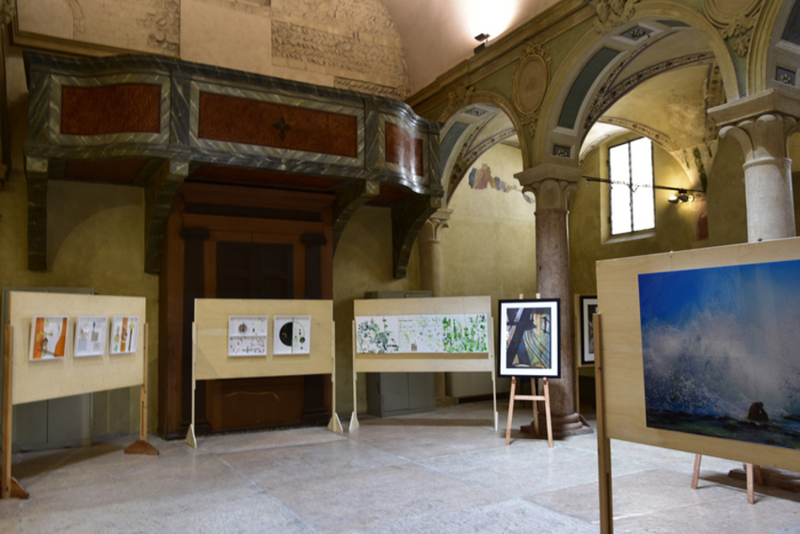 The Cultural Association FOMENAR in collaboration with APERTO ARTE and its curator Fiorenza Canestrari called artists to participate in the group exposition FOMENAR VERONA in Verona (Italy) from June 25th to July 8th, 2018. 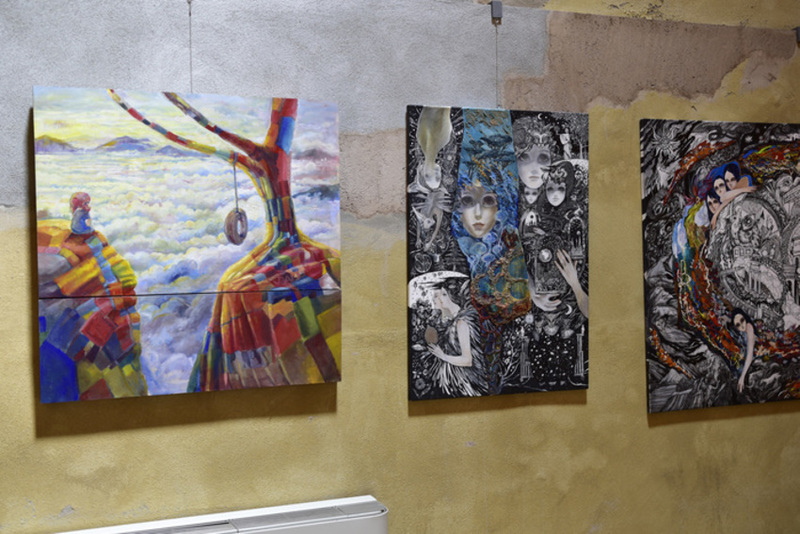 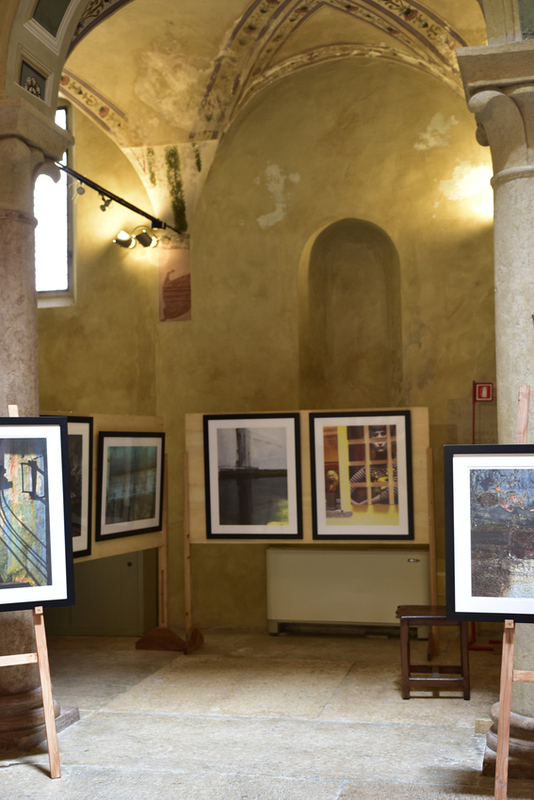 This exposition was open to all members and friends of FOMENAR and offered a unique opportunity for the artists to show their work. 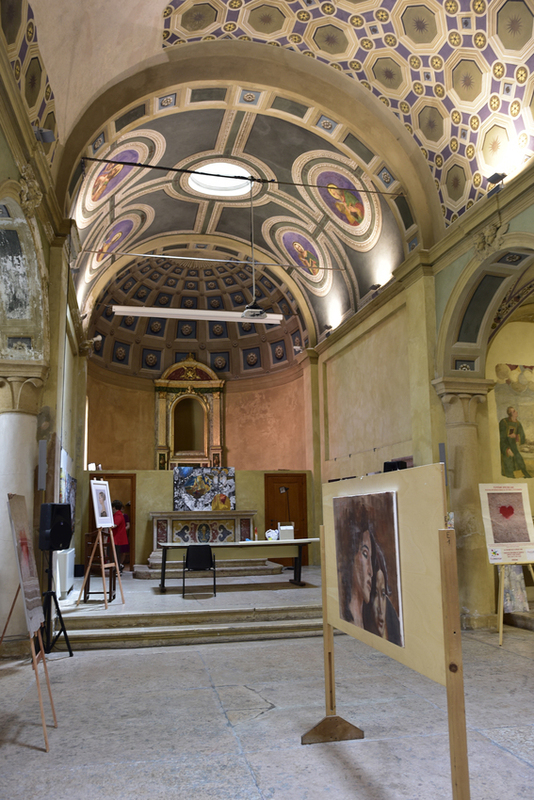 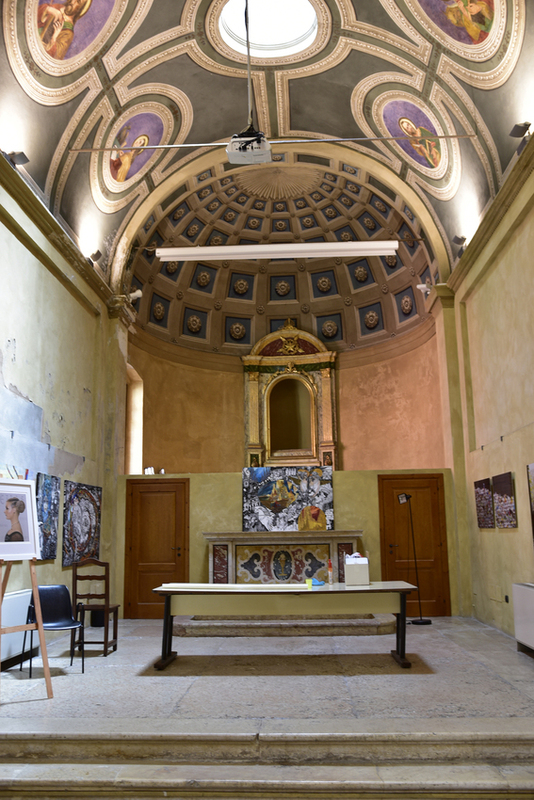 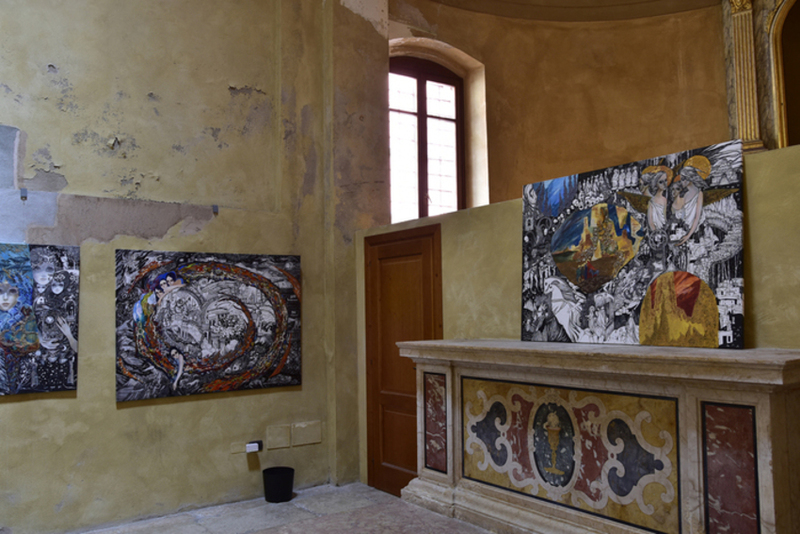 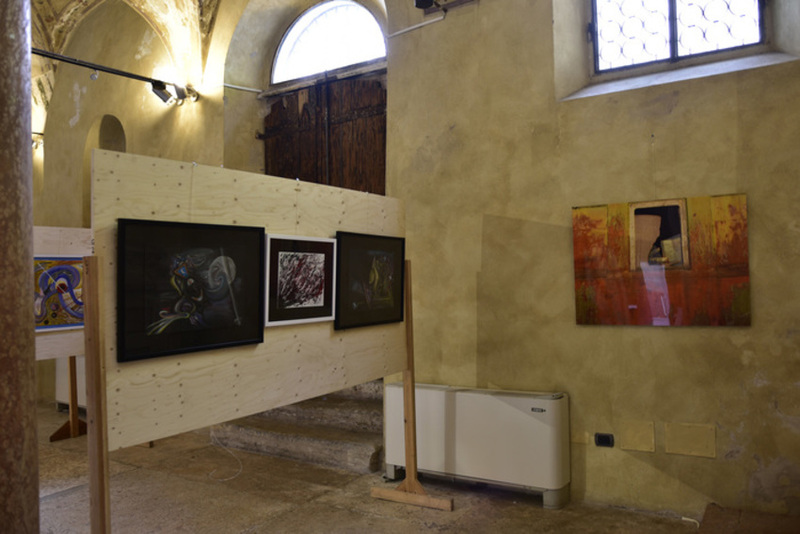 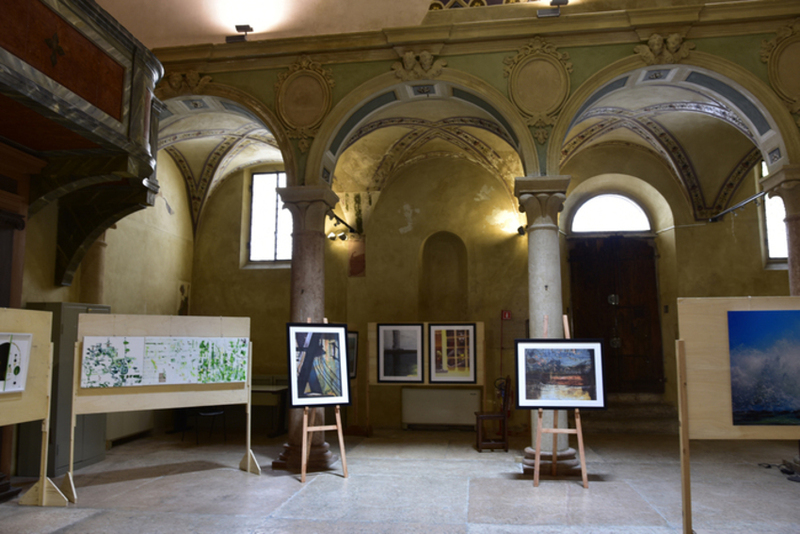 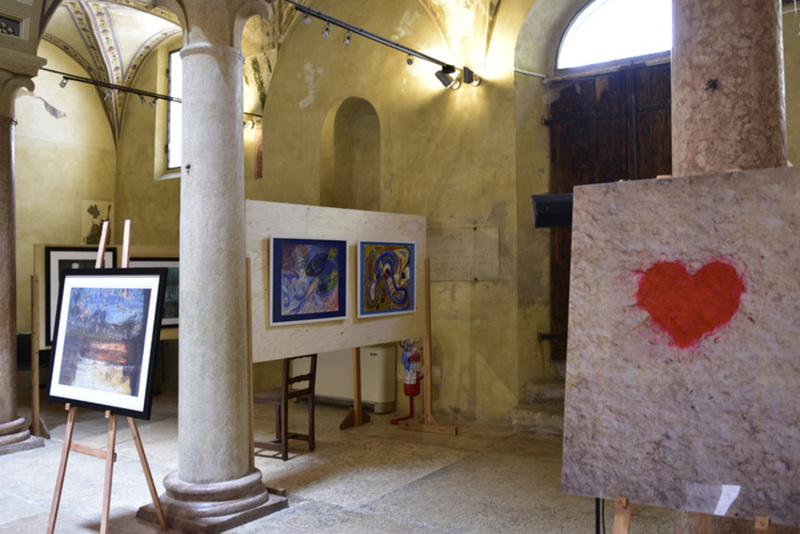 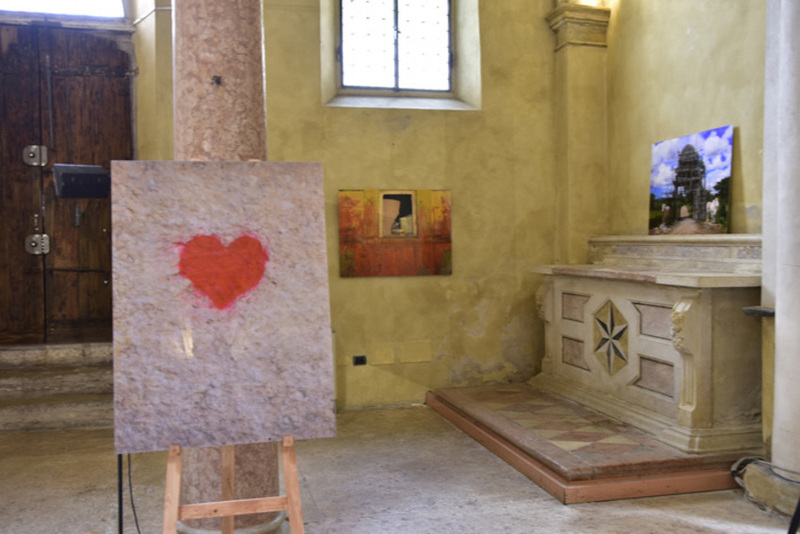 It was hold in the former church of Santa Maria in Chiavica dating back from the XV centuries and only a few steps away from the historic square Piazza dei Signori. 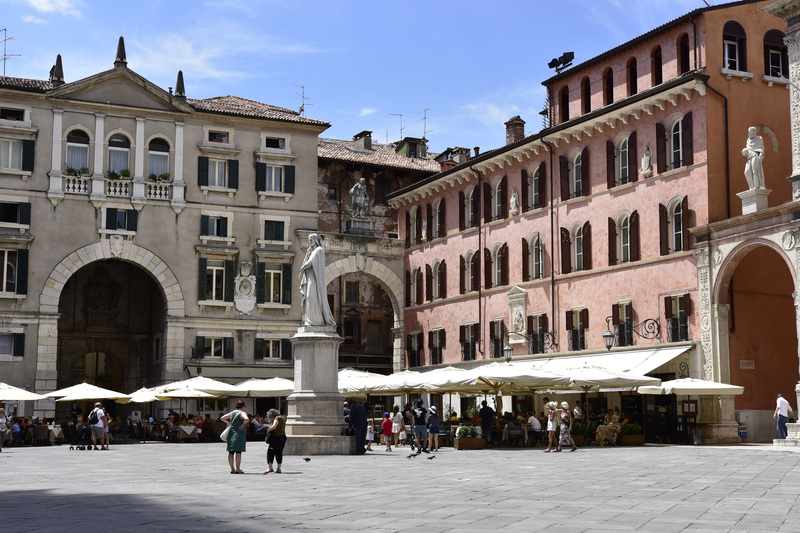 It is actually housing a social and cultural centre.